The application deadline was 19.08.2016. 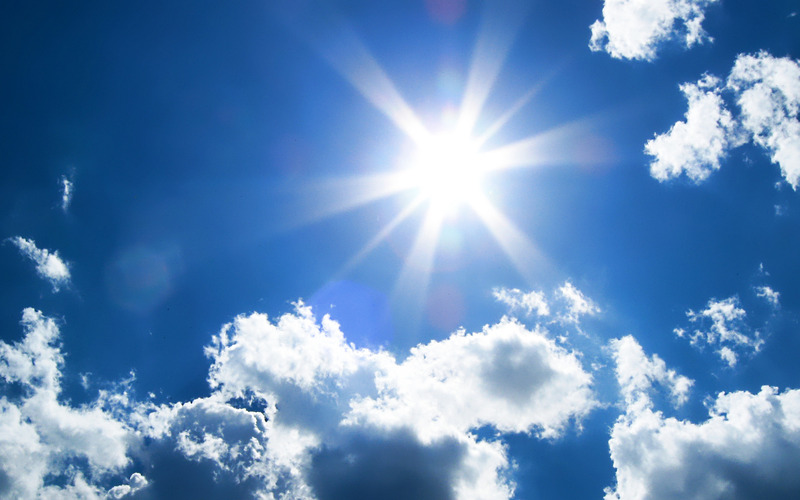 The SFI Offshore Mechatronics administration wishes you all a really nice and relaxing summer. On June 21 WP7 organised a workshop which started with a focus on trends & votes on findings from SFI strategic study. 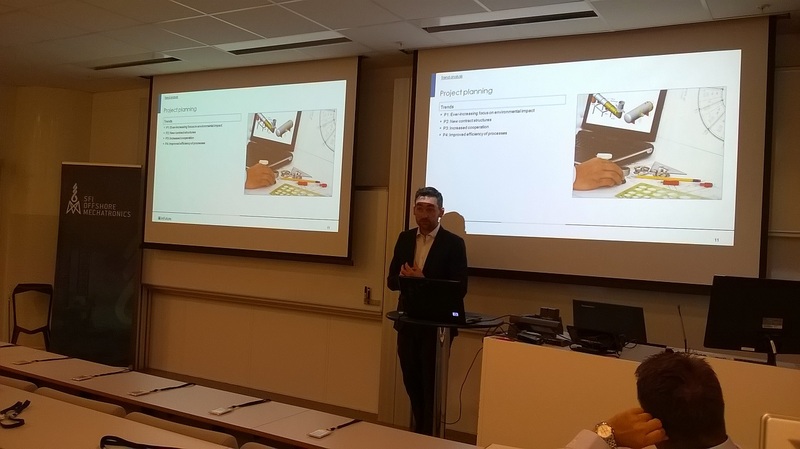 The picture above shows Øystein T. Berg opening the WP7 workshop. 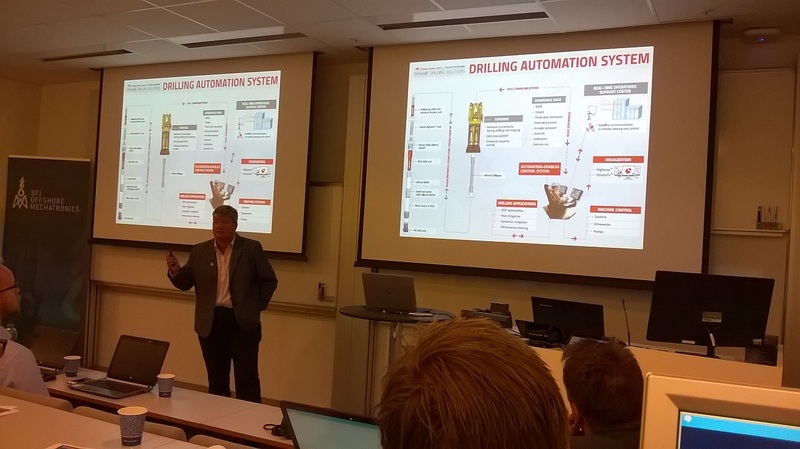 The picture above shows Hege Kverneland, Corporate Vice President and Chief Technology Officer, NOV presenting among other topics NOV’s Drilling Automation System. The workshop had 55 registered participants and was well received, in particular the interactive mode organised by InFuture. The day ended with a drilling rig visit at NYMO. The application deadline is August 1, 2016.